Saturday might just have been the perfect day. Tim and I were up before 6 in order to get up to Chattanooga and have a long run there in the morning. 10 miles - check. We both worked for a few hours (Tim - actual work. Me-"work" on my laptop) and then went to the Chattanooga 4 Bridges Arts Festival in the afternoon. 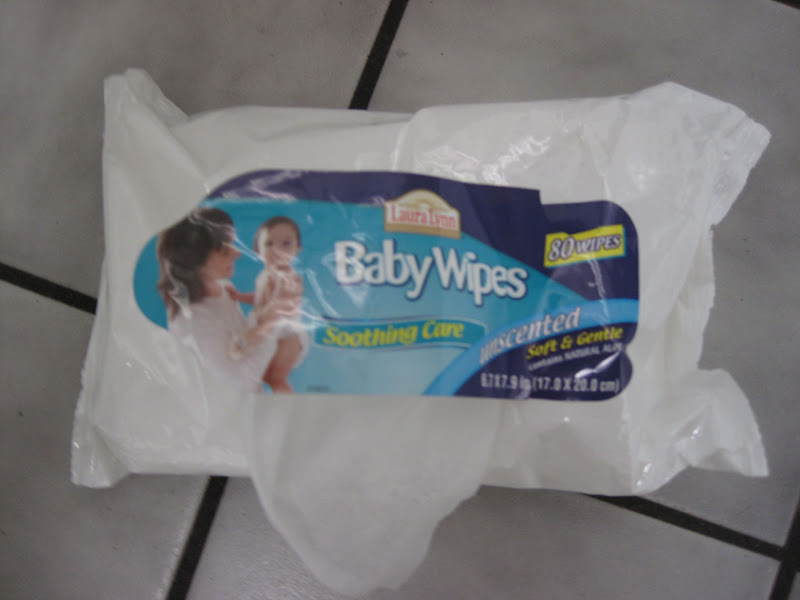 I tried to make myself presentable since there were people there with eyes and noses, but a baby wipe shower in a bathroom stall was all I could manage. Sorry, Chattanooga Residents. Let's pretend this is a "shower"
There were probably a good 60 or 70 artists at the event and it was definitely pretty interesting. It should come as no surprise that my favorite pieces all came from the same artist who used food in each piece along with tiny little figurines. The setups were adorable - little people skiing down twist cone ice creams, for example. I bought a little print of one called "The Grape Escape" to hang up in the kitchen and I love it. I'm pretty disappointed that we went to an art event that featured organic food and a musical performer called Pork Chop and forgot to bring along my Hipster Bingo cards. Serious bummer because I think a lot of the bases were covered there yesterday. Anyway, now that I have told you guys about hipster bingo I'll probably never play it. Way too mainstream now. When we got home we watched the Iron Lady about the political life of Margaret Thatcher. I really enjoyed it because although I guess I'm technically half English, that part of history was before my time and I don't know much about it. Oh! And I did yoga. How could I forget? Honestly, I don't know why I stopped practicing yoga. Also, I don't know why we have to say "practicing yoga." It sounds a little pretentious, doesn't it? I'm not a yogi and I didn't even go to a class. I did a 45 minute video at home alone and I didn't even wear Lululemon. Are you an artist/art enthusiast? No and no. I can appreciate art but beyond stick figures I'm out of my element. The only art I really know anything about is really classic European paintings - all thanks to a intro art class in college. As far as long runs are concerned, would you rather run alone, in a group or with a partner? It really depends. I think short runs with a partner or group really push me, but sometimes on long runs I like to zone out a little. That picture is cute. Am I allowed to call it that? Anyway, I like it too. I used to paint a bit when I was younger and do huge textured collages. I am also very 'crafty' but probably not very good. I do like to try things though. I am just starting longer runs again. Years ago I used to run 10 miles every Saturday morning alone and really enjoyed it. Yesterday we ran 10 miles for the first time in 11 or so years, and it was hard. I think The Captain's encouragement along the way pulled me through it. 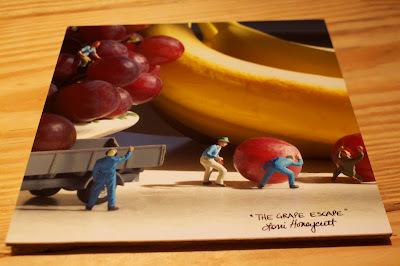 Love the Grape Escape, too cute! And I forgot about the Margaret Movie. It's on my to do list now! haha love hipster bingo. I'm not an artist, but I do love art, even if I don't know a ton about it. I prefer long runs with one person for the most part...multiple people is a little too much. Solo can be good too though, just depends on my mood. That print is awesome. Also, don't hipsters not shower, ironically? So you probably fit in :). I have a college friend who used to paint for me in exchange for meals and baked goods, so I have a lot of his paintings around the house. Other than that, I'm not very cultured. I love running with other people, but even running with the dog is more fun than running alone. I prefer running with other people, but I force myself to do solo long runs because I think it builds character. I have done long runs with and without running buddies. it depends on how I want to run to go if I run with others. If I am trying to get a certain pace I go solo, if I am just trying to get miles in I invite others to join me! 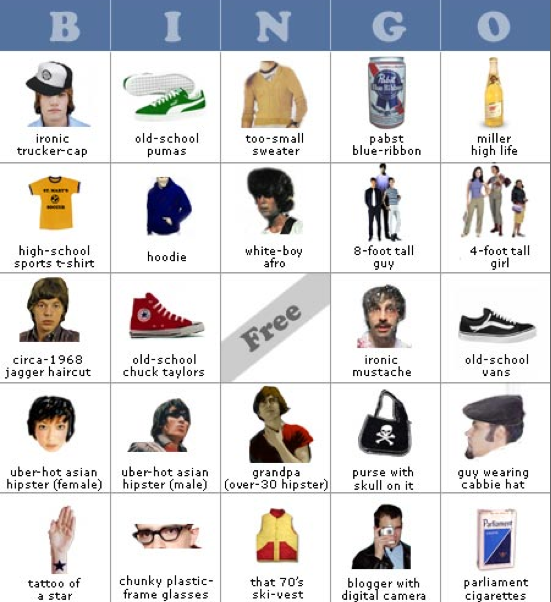 Love the hipster bingo...here in PA I can cross most of those things off by just going to the store! it's not "practicing yoga" if you're not wearing lulumon. then it's just gentle stretching. nice try, vanessa. I know less than nothing about art. I framed some pictures of me and Eric on vacation and hung them on my walls and that's about as far as it goes. I've been to art museums...on field trips. Hipster bingo sounds hilarious. I want a "people of Walmart" bingo. I love long runs with friends. Doing them on my own is good for pacing and stuff but way less fun. Also, I haven't showered since my bike ride at 9am today and I just discovered a giant smear of bike grease down my calf. Good thing I've been out in public all day. guilty. art major here. :) I hope you enjoyed the festival. p.s. i never even wear lululemon. haha. I enjoy cute art (www.joehavasy.com I have like...12 pieces of his). Beyond that, I have no eye for art. No art has ever *moved* me. Except this guy: http://www.mathe.tu-freiberg.de/~hebisch/cafe/fomenko/no32.html I don't know what it is about Fomenko, but I understand what people say when they say art makes them have feelings. No other art does that for me, which makes me feel like a raging philistine. Love the art - I have been looking for cute things to hang up in my kitchen. Still need to paint the walls too. I have yoga after work tonight - can't wait because my legs need it! This is the first time I've heard of hipster bingo, but if you brought your bingo card here to my Chicago neighborhood you'd have no problem fillin er up within minutes. Around this neck of the woods you more so stand out when you're not a hipster. It'd be pretty easy to fill up that Bingo card in Portland! hahahah love hipster bingo and now that it is too mainstream for you!! Would you be able to add an email subscription button on your blog so I could subscribe by email???? Pretty please??? ?